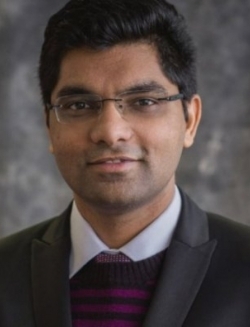 Biography: Adit is currently working as a research engineer in the autonomous vehicles and controls department at Ford Motor Company. 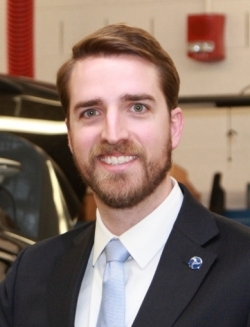 His responsibilities include supporting the HIL simulation of Ford’s autonomous vehicle platform alongside supporting CAE simulation activities related to electrification and connectivity. His previous experience includes working as a HIL engineering specialist at General Motors. Before joining the automotive industry, Adit graduated with an MSc in Mechanical Engineering specializing in vehicle dynamics and controls, and a BSc Electrical Engineering specializing in controls, both from The Ohio State University. He has authored four SAE technical papers on HIL simulation. Synopsis: The automotive industry is heading toward the path of autonomy with the development of autonomous vehicles. As in-vehicle testing for autonomous vehicles will be considered expensive, time-consuming and unsafe due to the number of scenarios and driven kilometers required for validation, a simulation platform that can provide a controlled and consistent testing environment is required for rapid prototyping and testing of the autonomous vehicle. This paper focuses on a powertrain and chassis hardware-in-the-loop (HIL) simulation of the autonomous vehicle platform and the correlation of the performance of the corresponding subsystems with those of the actual autonomous vehicle. 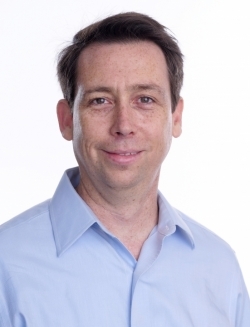 Biography: Jack is a senior principal engineer and the chief systems architect for automated driving solutions at Intel. 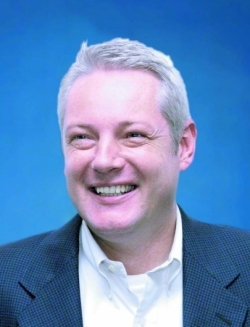 In his nearly 20-year career at Intel, he has built a reputation as a change agent in new industries, with significant technical contributions to a wide range of industry-first products and standards in complex, heterogeneous, high-performance compute solutions in markets that are embracing high-performance computing for the first time. With an end-to-end systems perspective, Jack combines a unique blend of embedded product experience with a knack for elegant software and systems design that will accelerate the adoption of autonomous driving. 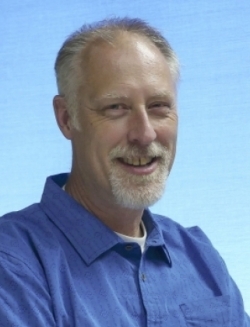 Jack is the co-author of 'UPnP: Design By Example', is an adjunct professor at Portland State University and is the holder of 23 patents with dozens pending. Synopsis: There is little argument that machines will be better drivers than humans. Yet there is very real risk that self-driving vehicles will never realize their life-saving potential if we can’t agree on standards for safety. We will explain how RSS provides specific and measurable parameters for the human concepts of responsibility and caution, and defines a 'safe state', where the autonomous vehicle cannot cause an accident, no matter what action is taken by other vehicles. We will also talk about how the industry can collaborate to help put these types of safety standards in place. Biography: Tony has been involved with automotive safety systems since 1990. His cutting-edge work on passive safety algorithm design and testing led him to start the first automotive algorithm company in 1992. After receiving his BSEE and MSEE from the University of Michigan, he worked on satellites and radar imaging. He is currently a director for Siemens, where he has continued to define active safety algorithm testing requirements as well as working on various other state-of-the-art approaches to enhance automated and connected car robustness. He has been awarded over 20 patents and has presented over 75 technical papers. Synopsis: Training and testing artificial intelligence algorithms (deep learning neural networks) supplemented by synthetic simulated sensor data improves performance and adds to the testing approaches. The sensor models used include camera, radar and V2X, with appropriate segmentation. These models can be used to produce ROC (receiver operating characteristic) curves and other measures of detection and estimation system performance. Examples of the process are offered in this presentation. 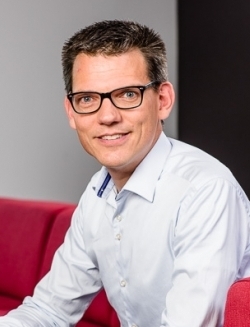 Biography: Frans de Rooij is Regional Director Product Management for Autonomous Driving at TomTom, based in Farmington Hills. In previous roles, Frans worked in B2B product management, product marketing, business development and strategy consulting. He studied Physics and Applied Mathematics in the Netherlands and the UK, and holds an MBA. Synopsis: Vehicle sensors, such as cameras and radar, have powered the introduction of advanced driver assistance systems. They need to be combined with a high-definition map (HD map) to make higher levels of driving automation safe and comfortable. We will discuss how the data layers from TomTom’s HD map are correlated with vehicle sensor data to enable accurate localization, environment perception and path planning. We will also show how the sensor-derived observations ('Roadagrams') contribute to keeping the HD map up to date, and how the updated map is streamed to the vehicle. Synopsis: Level 2+ autonomous vehicles require a fusion of perception sensors (lidar, camera, radar) and absolute position sensors (GNSS, map, IMU) for safe operation. This presentation will explain how GM performs QA activities and pre-production validation of GNSS and map accuracy. 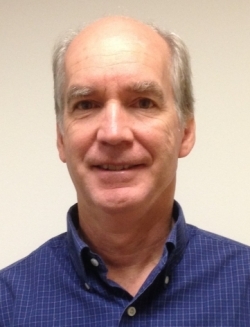 Biography: Dr. Lochrane is the Technical Manager for the Cooperative Automation Research Program in the Office of Operations Research and Development located at Turner-Fairbank Highway Research Center (TFHRC). He is currently leading a team of engineers developing the Cooperative Automation Research Mobility Applications (CARMA) platform which supports testing and evaluation of prototype Cooperative Automated Driving Systems (CADS). 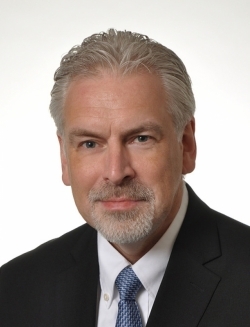 Biography: Roger Jollis is the Director of Product Management, Telematics for HARMAN, a wholly-owned subsidiary of Samsung Electronics, Ltd.
Synopsis: By 2025, the number of connected things is expected to grow to 1 trillion. It is this deluge of new devices that will demand a paradigm shift in the network’s capacity to handle the devices and the data that will be generated by them. The technical requirements that necessitate a true generational shift from 4G to 5G are sub-1ms latency and downlink speed greater than 1Gbps. Smart, connected and autonomous driving will require a robust and omnipresent wireless network that has extensive coverage, high data transfer speeds, ultra-low latency and ultra-high reliability – qualities that can only be found in 5G. 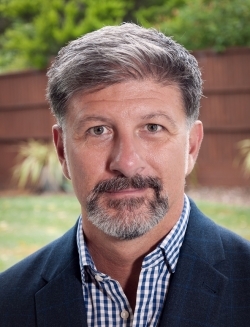 Biography: Based in San Jose, California, Robert leads the automotive solutions and platforms team at Arm, responsible for the definition of Arm-based solutions for the next generation of automotive applications. 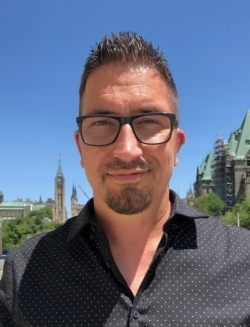 Prior to Arm, Robert was VP of marketing at Lynx Software Technologies, where he was responsible for all product marketing and external communications for the Lynx portfolio of safety and security solutions. Robert has a BSc in Computer Science from the University of Brighton, UK. Synopsis: As companies strive to build Level 3+ autonomous systems, they are realizing that the vast amount of compute power required to perform the autonomous functions is not really practical for mass production due to the size, power consumption and thermal properties of today’s computing platforms. This talk will investigate options to build more efficient autonomous vehicle compute platforms to conform to the strict power requirements required by EV and hybrid vehicles, while still delivering the necessary performance to manage the autonomous decision and action process. 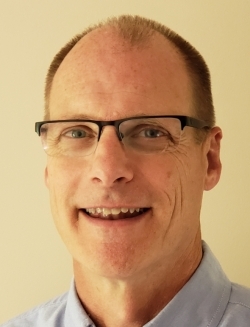 Biography: Vince is a business development manager at National Instruments, specializing in safety-critical applications such as automotive, aerospace and energy. With over 25 years' experience in aerospace, automotive, power electronics and medical systems, he has engineering systems in the most complex applications. He also served as president of the platform division at LHP, director of large transport fuel systems at Parker Aerospace and CEO of On Target Technology. He holds a BSc and MSc in Electrical Engineering and MBA in Technology Management. 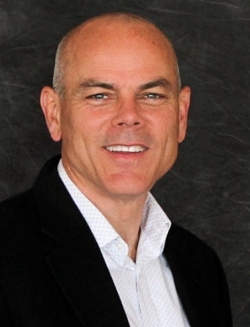 Vince has served on the IEEE board of directors, and governing boards of SAE and PMI. Synopsis: Autonomous vehicles require complex controls that must be proved to be safe and reliable. From ADAS interfaces to ride-sharing applications, performance requirements are ever increasing. A test workflow to verify designs must be quick to implement, operationally effective, and comprehensive in quality and performance. A hardware-in-the-loop test workflow provides the efficiency of simulation with the completeness of performance testing in a practical test budget and schedule. This presentation provides an overview of the test needs and demonstrates a HIL verification workflow to satisfy them. The audience will learn a simple approach to test autonomous vehicle controls. Biography: Eric studied Mechanical Engineering at École de Technologies Supérieures in Montreal. At the beginning of his career he was involved in various levels of motorsport from go-karting to Indycars. This experience eventually led him to Transport Canada (TC), where he started by conducting dynamic testing programs with advanced-technology vehicles. After a brief stint at the Emissions Research and Measurement Section of Environment Canada, Eric rejoined TC in 2015. He is now a senior engineer in crash avoidance research and oversees several ADAS research programs such as automatic emergency braking, pedestrian avoidance and lane-keeping assist. Synopsis: Although there is little to no doubt that full automation will ultimately be a reality, we must ensure that its deployment occurs in a safe and responsible way. From a regulator’s perspective, safety should always remain the paramount priority. As ADAS are leading the way and becoming the norm, we should also ensure that marketing does not mislead consumers and that the limitations of various systems be communicated clearly. The results of an in-depth analysis of key ADAS features from 30 commercial systems will be presented, and the main safety benefits and concerns associated with partial automation will be discussed. Biography: Bernhard is a technological scout at ViGEM and provides the vision for ViGEM solutions. He is an expert on automotive software and system design. Over the last 15 years he has worked in automotive infotainment, drivetrain, ADAS, autonomous and driver information systems. At ViGEM he researches technology for next-generation CCA dataloggers to respond to future industry demands. Synopsis: Autonomous driving Levels 3-5 are based on a growing number of safety-related systems that must be secured with millions of kilometres. All vehicle bus communications and raw data from sensors, cameras, lidar and radar, as well as status data like weather and actual maps must be recorded, authentically. An eight-hour test drive easily produces 4TB of data, if not 20-100TB. The data must then be fed to data centers without causing long pauses in vehicle testing. The enormous amount of data becomes a challenge for measurement equipment in automotive environments. This presentation shows new developments. Biography: Stéphane has over 25 years' experience in the high-tech industry, in global marketing, project management and product design. He has worked for multi-national companies in Europe and Asia in the consumer and industrial market segments. He also has experience in emerging technologies, smart city and smart mobility. His current position is strategic innovation director at Lacroix Group. Stéphane holds a PhD in Electronics from the University of Bordeaux (France) and an MBA from Newcastle University (Australia). He holds patent applications and has written numerous papers. Synopsis: What are the challenges and some solutions for user (citizens and cities) adoption of autonomous public transportation? What are some key topics about safety and how to address them? Based on experimentations in Europe with government and counties, such as SCOOP, OPERA projects and autonomous shuttle in Nantes city, we will review these challenges and some tested solutions. Topics such cybersecurity, the role of infrastructure for safety, proactive information from sensor through V2X, and best practices for adoption by citizens and cities will be addressed, supported by real-life examples. The purpose is to enrich rules and regulations with facts. 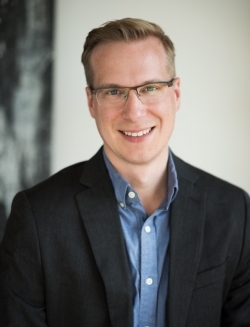 Biography: Henning has been founder and CEO of Atlatec since 2015, driving the development of 3D mapping technology for autonomous vehicles. 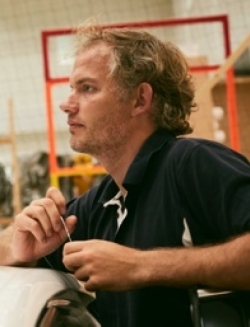 Previously he was a research associate at Karlsruhe Institute of Technology, working on autonomous driving. He has a PhD from Karlsruhe Institute of Technology, working on autonomous driving (mapping and localization in particular). He studied computer science in Aachen and Finland (graduated with distinction). 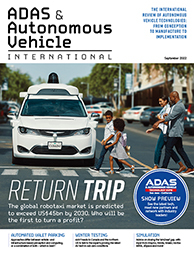 Synopsis: ADAS Simulations will allow to simulate autonomous driving of millions of miles per day. This is largely considered a prerequisite to validate autonomous vehicles and simulation vendors tailor their software to that end. Realistic content for simulations, however, is cumbersome to source and no database of real scenarios is available. We will present how to efficiently source 3D map data and real driving scenarios for use in simulations and introduce our database of thousands of kilometers road length. This database is captured in different automotive hot spots and contains centimeter-accurate digital twins of road networks. These can be used as content in simulations. 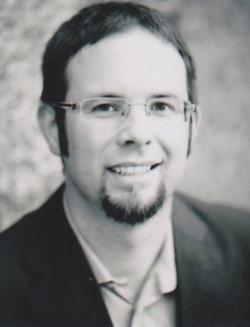 Biography: Dr Schwalb received his PhD in Artificial Intelligence from University of California Irvine. He has more than 20 years' experience in implementing intelligent systems for a wide range of industries, including defense, consumer electronics, finance and engineering. His data engineering experience includes building sizeable financial data warehouses and automated load underwriting systems. He has authored a technical book, published in major journals, edited technical standards and is credited with more than a dozen patents. At MSC Software he was an architect of Apex, a product that won more than a dozen awards in three years. Synopsis: Safety is not an aftermarket feature. We present quantitative methods for baking in safety, and achieving reliable integrated drivers using unreliable AI components. We explain how to generate a library of scenarios as test cases so as to maximize coverage without an exponential blowup as the number of parameters increases. Finally, we discuss an approach for continuous integration capable of covering hundreds of millions of miles per hour. Biography: Victor is the CEO and founder of Next Limit Technologies, a Spanish software development company with more than 20 years' experience in physics simulation and visualization technologies, targeting a wide range of industries, from computer graphics to engineering. In 2008 Next Limit was awarded with a Technical Achievement Award by the Academy of Motion Pictures in Hollywood due to its contributions to the visual effects industry. Today Victor is presenting Anyverse, a very ambitious project that stands on the shoulders of his core state-of-the-art simulation technologies. Synopsis: Building safe autonomous vehicles demands extremely robust learning/testing processes. Today’s training and testing of autonomous systems in real-world environments is very costly and potentially biased to predefined fixed scenarios. Custom computer-generated scenarios enhance the ability to train systems for challenging cases rarely encountered in controlled real-world environments. High-fidelity synthetic datasets are capable of delivering massive machine-generated datasets for the training and testing processes of autonomous vehicles at a much lower overall cost. 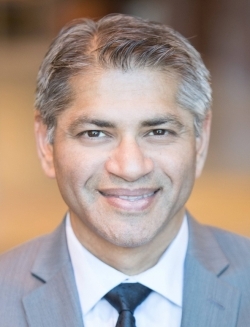 Biography: Qasar is the co-founder and CEO of Applied Intuition, which is building advanced simulation and infrastructure tools for the autonomous vehicle industry. 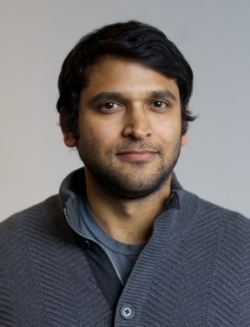 Immediately prior to starting Applied Intuition, Qasar was the COO and a GP at Y Combinator. He also was previously one of the leads at Google Maps, and started two companies, the second of which was acquired by Google in 2011. Earlier in his career, Qasar was an automotive engineer at General Motors and Bosch. Originally from Detroit, he is a graduate of the General Motors Institute/Kettering University and Harvard Business School. Synopsis: As dozens of companies from Europe and China to Detroit and Silicon Valley look to build and deploy Level 4+ autonomous vehicles (AV's) in the coming years, many are looking to specialized horizontal software suppliers to accelerate their internal development process and time to market. This panel will feature executives from four such software companies, that are bridging the gap between the tech industry and the auto industry. Biography: Ram leads product management and engagement with key customers at Arbe Robotics. He has over 25 years' experience in embedded systems and the semiconductor industry. Prior to joining Arbe, Ram managed the business development, customer engagement and product marketing of several wireless connectivity product lines at Texas Instruments. His professional experience also includes roles in system engineering and R&D management. Synopsis: Using high-resolution radar for autonomous driving poses new challenges and brings new opportunities in the mapping of the environment, including the tracking of other cars and pedestrians, and localizing the self-driving car within its environment. Oz will discuss the role of advanced algorithms with next-generation radar, which senses the road with both an ultra-high resolution and a wide field of view. He will focus on how post-processing and SLAM algorithms can help resolve ambiguities and achieve low false alarm rates. Biography: Nic started his automotive career in automotive logistics after obtaining his BSc in Product Design and Innovation. Following time at Toyota Motor Manufacturing in the UK in the BIW manufacturing teams, he moved to MG Rover Group as homologation engineer and key member of the R&D team. Nic then spent 10 years working for the Vehicle Certification Agency as a test engineer, before becoming manager of VCA Millbrook. In his last position as lead engineer for vehicle engineering, homologation and driver training at TMETC, he devoted time to ensuring that the test engineers were able to drive and test to a high and safe standard to ensure that prototype and current vehicles were safe for the consumer. It was here that the skills gap for autonomous vehicle engineers became apparent, and he developed a full automated vehicle development/test engineer driver training package. In his current position as head of ATEEL UK Ltd, he will be at the forefront of vehicle type approval and responsible for the certification of these vehicles. Synopsis: The world is focused and committed to the deployment of automated vehicles. However, are the people with the 1s and 0s the right people to be developing and evolving the algorithms for the vehicles? How can we be sure that the standard of driver training is adequate so that no 'gremlins' or bad habits are installed from the outset during the test and development phase? The end goal is Level 5, but humans are still key to the success of automated vehicles. If we get this wrong, the whole concept will be set back years. 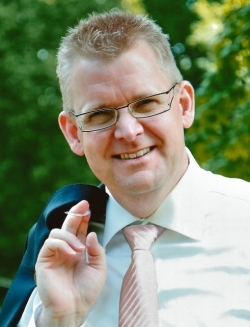 Biography: From 1992 to 1997 Alexander Noack studied communications engineering at the University of Applied Sciences in Regensburg and completed an MBA program at the University of Applied Sciences in Deggendorf in 2003. 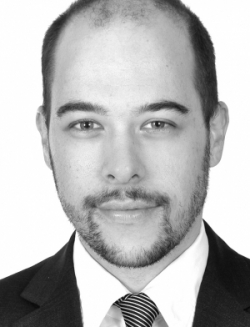 After holding various positions, among others in the development department of the former Siemens Automotive GmbH, as well as a more than 10-years’ experience in the implementation of embedded system applications, he joined b-plus GmbH in 2013. 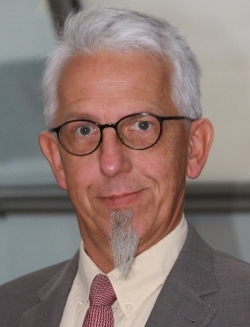 He is expert for measurement, logging and simulation systems for driver assistance and autonomous drive. b-plus GmbH is a well-recognised partner of the automotive OEMs and supplier industry in the development of driver assistance and autonomous drive systems. Sensor HIL testing based on raw camera and radar data – the next challenge? Synopsis: Multiple cognitive sensor sources such as cameras, radar and lidar are used for autonomous driving functions as input data for the domain controllers. Testing those sensors in HIL environments is one of the major trends in virtual testing and increases the requirements for the whole testing and validation scenario. The most critical topic in HIL testing is the exact time synchronisation mechanisms from logging the data in real test drives through post-processing to exact replay. This presentation focuses on the challenges of sensor HIL testing and the methodology for measurement data management in the domain controller environment. 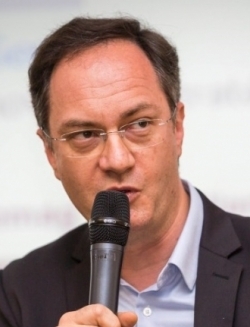 Biography: Ro is the CEO and co-founder of Carmera, the street-level intelligence platform specializing in high-definition mapping for autonomous vehicle localization, perception and path planning. Before Carmera, he created data products and helped grow web discussion network, Disqus, to two billion users. Prior to that, he held business development roles at Disney, and strategic advisory roles for Fortune 500s and NGOs in the USA, South America and Africa. Ro majored in operations research and began working on autonomous transit, neural networks and computer vision at Princeton in the 1990s. 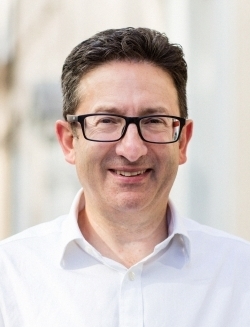 Biography: David joined the UK Government’s Centre for Connected and Autonomous Vehicles (CCAV) as deputy head in September 2018. He previously worked in other departments in the UK Government, including in the Civil Contingencies Secretariat in Cabinet Office, which works to coordinate planning for, response to and recovery from civil emergencies affecting the UK. Before that he led a team in Broadband Delivery UK, in the Department for Digital, Culture, Media and Sport, which sought to extend superfast broadband to sparse areas of the UK. Synopsis: Collaboration is commonly promoted as the key to overcoming the complex problems emerging for self-driving vehicle systems and services. But it is easier said than done, requiring significant amounts of time and effort to achieve, with some hard lessons along the way. The UK has a strong reputation for effective collaboration and this cross-sector panel will focus on the challenges achieving successful collaborations at various scales and across various sectors, drawing on their mixed experiences shaping the fast-changing future of mobility. Biography: Dr Mark McCord earned a BSc in Electrical Engineering from Princeton University and a PhD in Electrical Engineering from Stanford University. He leads the development of high-performance, low-cost imaging lidar systems. Prior to Cepton, Dr McCord was director of system engineering, advanced development at KLA-Tencor, where he developed electron beam technologies for etching and imaging silicon chips, and first worked with Dr Jun Pei (Cepton CEO and co-founder). Synopsis: Autonomous vehicles (AVs) will revolutionize transportation around the world. Attendees will learn why high-resolution, low-cost lidar is key to mass deployment of AVs around the world in a safe and cost-effective manner. They will also learn about new advances in 3D lidar sensing technology and its application in AVs. This talk will focus on the new development in Cepton’s lidar technology and the future technology roadmap. And how Cepton’s high-performance Vista lidar’s long range and resolution help with object detection and perception in challenging environments, enabled by the computing power of GPUs. Synopsis: As with robots in general, automated vehicles are enabled by automated sensing, thinking and acting, with the 'taking action' part being motor control. For an AV test and development vehicle, motor control of the steering, accelerating, braking and shifting can be achieved with various solutions, none of them trivial. Taking into account the vehicle R&D mission, phase of development and safety requirements, Dataspeed will present an effective approach currently used by hundreds of engineering companies around the world. Biography: Mohammad started Deepen AI in January 2017 focusing on AI tools and infrastructure for the autonomous development industry. 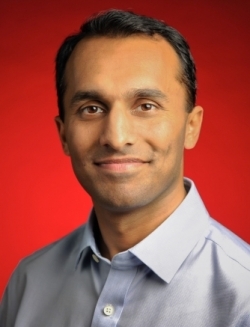 He used to lead product efforts for Google-wide initiatives to enable teams to build excellent products. He worked specifically on infrastructure products for tracking user-centered metrics, bug management and user feedback loops. Prior to that, he was the head of launch and readiness at Google Apps for Work, where he led a cross-functional team managing product launches, product roadmap, trusted tester and launch communications. 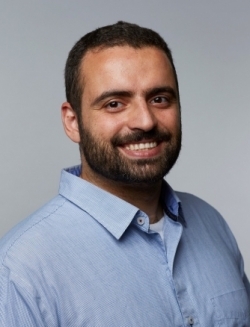 Before Google, Mohammad worked in software engineering and technical sales positions in the video games and semiconductor industries in multiple startups. Synopsis: To save time and avoid earlier mistakes, it is not only the so-called 'stack' that is of importance, but also a development platform and methodology to keep things together and work with already certified components that carry mileage accumulation. In this presentation Dr Son elaborates on the results from his projects in Korea and how development time can be reduced using proven tools and methodologies. 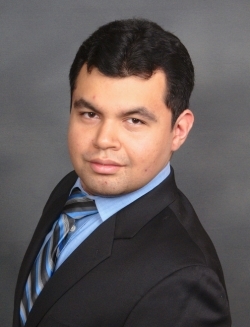 Biography: Kunal earned a PhD from Texas Tech University with a focus on hybrid vehicle controls. 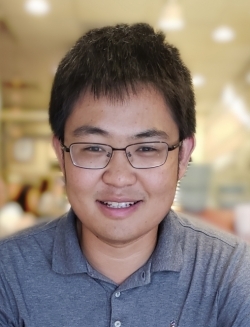 He is currently a senior applications engineer at DSPACE Inc, where he works on dSPACE Automotive Simulation Models (ASM). His work involves real-time modeling of automotive systems for testing autonomous driving features. Synopsis: Different virtual validation use cases require different sensor models. Accuracy, simulation performance and usability play major roles. This presentation will give an overview of the different dSPACE solutions for sensor simulations. In this presentation you will learn: how to speed up simulations using ASM (Automotive Simulation Models) ground truth sensor simulations; how to generate raw data streams for environment sensor simulations such as camera, radar and lidar sensors using GPU-based sensor models in MotionDesk; new solutions for HIL testing of highly automotive driving features involving radar, camera, etc. Biography: Sumeet holds an MSc in Computer Engineering from Michigan Technological University, and an undergraduate degree in Electronics and Telecommunication. He is a Certified Ethical Hacker. At FEV he is responsible for customers' automotive cybersecurity; security consulting through risk assessment and threat analysis; hardware and software security solution enablement; and security validation through cybersecurity test system design and development. Synopsis: Autonomous driving, ADAS and connected vehicle applications have flooded the vehicle with features, exponentially increasing the attack vectors in the vehicle and the need to test them. Autonomous enablers such as cameras and connectivity enablers such as wi-fi or Bluetooth can be tested at a component level with dedicated security bench setups. The challenge is to test for security at a system level as opposed to only component-level security testing. A simplified approach includes identifying vulnerabilities, reducing risk by resolving threats from the identified vulnerabilities, and validating the existence or non-existence of known and unknown vulnerabilities within the target system. 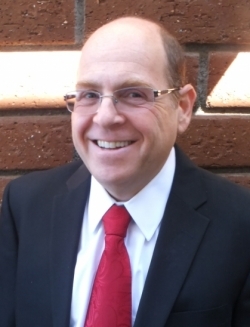 Biography: Yoav is a world expert and leader in VLSI verification. He invented the 'e' verification language and related methodology (later followed by the UVM methodology). Yoav founded Verisity to commercialize the related tools and methodologies for VLSI HW verification. Verisity was acquired by Cadence Design Systems, one of the largest EDA companies. Yoav holds nine verification-related patents. He writes a popular blog on autonomous vehicles verification – blog.foretellix.com. Synopsis: The presentation discusses and analyzes the current status of AV verification, using recent examples. It analyzes challenges to eventual deployment, noting that we can expect many fatal AV accidents. It then suggests that a comprehensive, transparent verification system could help solve this inevitable tension. Finally, it describes principles of verification using a scenario-based, coverage-driven methodology. Biography: Dr. Sc. Techn. 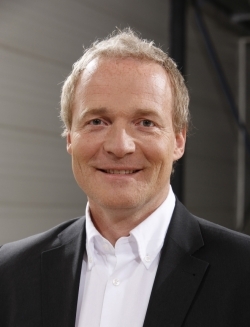 ETH Joachim Taiber is CTO of the International Transportation Innovation Center, which is a non-profit organization focused on smart mobility testbed development. 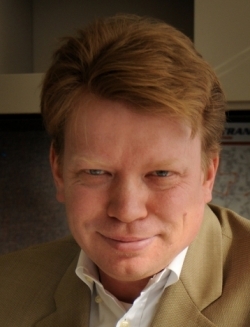 He is also adjunct professor of the Clemson University International Center of Automotive Research. Synopsis: The world of transportation is rapidly changing through digitization, leading to a portfolio of smart and sustainable mobility services from which the user can choose on demand and – due to full automation – without the need to be able to drive a vehicle. How those multi-modal mobility services interact with each other and with the supporting infrastructure has to be validated in cyberphysical testbeds in smart city environments to determine the operational safety and security risk level. This presentation will discuss design criteria for closed and open testbeds that could support a certification process for automated driving. Biography: Supervisor at Powertrain & Vehicle Research and Development at Isuzu Technical Center America, leading the team for autonomous truck development, simulation and big data analysis. Graduated with a master’s in aerospace from the University of Michigan, Ann Arbor. Professional experience includes working in a consulting company and a national lab. Current project at Isuzu: autonomous driving truck development, deep learning-based preventive maintenance, model-based approach for design, calibration and control. Synopsis: Global deployment of autonomous capability for commercial vehicles is a big challenge. In order to improve the robustness of autonomous approach under different traffic scenarios, environments, road conditions and driver behavior, a combined approach of physical testing, simulation, HIL and on-road testing has been established for sensors (camera, radar, etc.) and algorithm verification. Virtual testing is employed to reduce dangerous moving-target physical tests; a conversion method has been developed to utilize databases from different resources; machine learning is used to identify the worst-case scenario in the combined database. Biography: Yoshiyuki Usami received Ph.D. degree (Applied Physics) from Tokyo Institute of Technology in 1990. 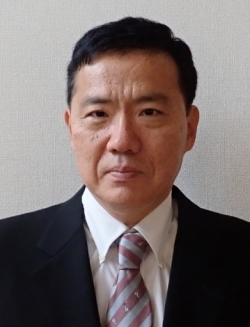 He has worked at Institute of Physics, Kanagawa University from 1990 to the present. The present position is an associate professor. His main academic areas are statistical physics, biomechanics and neural networks. He started to develop autonomous vehicle in Japan since 2016. Synopsis: We have tested Comma.ai’s autonomous driving system during a round trip from Tokyo to Osaka, which are the two biggest cities in Japan. We drove successfully for nine hours on the outward journey, but experienced two system failures during the return journey. This was caused by transforming analog car data to digital data through a USB interface. Except for this point, the present system is reliable on driving one lane of Japanese highway. We will publish multi-camera recoding data from this monumental 18 hours of driving. A remaining problem is to build a system that can manage branching and merging of lanes. Biography: Ram is an experienced sales and marketing executive with a 20-year career at National Instruments (NI) before joining Konrad Technologies in 2017. Through multiple roles at NI, Ram led business development, customer service and product marketing efforts involving test automation, audio and video test, RF design and automotive radar test. A global traveler, Ram has successfully led sales and marketing initiatives across the globe including a two-year expatriate assignment in India. Ram has a BSc in Mechanical Engineering (1997) and an MBA (2010), both with honors, from Arizona State University. Synopsis: As automotive sensors increase in design complexity to deliver multiple capabilities, their test routines have evolved to complex test protocols in order to verify functional performance of the sensors. Radar, lidar and camera sensor technologies form a quintessential part of an autonomous vehicle mapping its environment before deciding on required actions. The combined use of scenario-based testing and measurements can effectively verify functional performance of the sensors in their application use case environment or conditions. In this session, we will share details of how the ADAS iiT sensor fusion HIL test method can address this evolving need. Biography: Mr. Stark leads the software engineering work at FHWA's Saxton Lab, building systems, including the reusable CARMA platform, to explore cooperative vehicle behavior and how roadway operators can best support it. 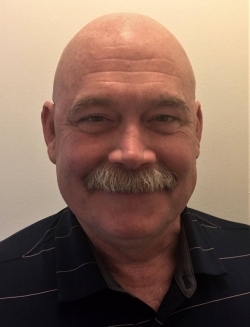 Mr. Stark has been with Leidos for 22 years and was previously an engineer at McDonnell Douglas Aerospace. Synopsis: The Federal Highway Administration (FHWA) conducts research in connected, automated vehicle operations. CARMA is a reusable and extensible vehicle control middleware that provides an API enabling researchers to easily test various vehicle guidance algorithms, and supporting vehicle-to-vehicle and vehicle-to-infrastructure interactions. CARMA facilitates cooperative automation. These behaviors involve negotiation between vehicles to safely achieve workable solutions for spatial conflicts. FHWA has defined a new set of dedicated short-range communications mobility message types, extending SAE J2735 to support negotiation between vehicles about future intentions. Our goal is to see these new message types included in a future version of the J2735 standard. 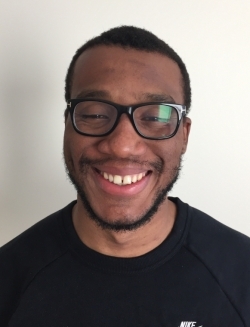 Biography: Michael is a software engineer with Leidos, working in FHWA’s Saxton Transportation Operations Laboratory (STOL). 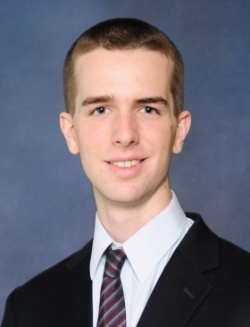 He has been involved in various automation and robotics research projects during the last three years, currently at the STOL and previously at Worcester Polytechnic Institute. Recently, Michael has been focused on the development of software systems for connected and automated vehicles that take advantage of onboard sensors and dedicated short-range communication (DSRC). He earned his BSc in Robotics Engineering from Worcester Polytechnic Institute. Synopsis: Cooperative automation has the ability to improve highway capacity and traffic flow. This has been demonstrated in simulation for a managed lane scenario with access limitations (i.e. lanes open to CAVs and connected vehicles only), as might be expected for early deployment on managed lanes. These applications were then tested on a real managed lane to confirm those benefits. The cooperation between multiple stakeholders with different operational objectives made this testing successful. This will be a review of the inception, planning, execution and special considerations of testing on this public facility and potential early deployment area. Biography: Sean has over 30 years' experience in the engineering consulting profession. He is president of The American Council of Engineering Companies (ACEC) for the State of Michigan and serves on its board of directors. In this role, he helps lead/guide the profession with respect to infrastructure funding and policy. 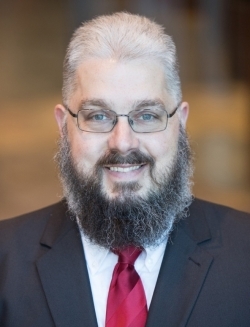 He is a senior vice president and principal with The Mannik & Smith Group, a 300-person engineering and environmental sciences consulting firm with 12 offices in Michigan and Ohio. Sean is the managing principal for Mannik & Smith’s downtown Detroit office. Sean lives/works/plays in Detroit. He has a deep commitment to the city’s ongoing transformation – not only with regard to the engineering and design of excellent infrastructure, but also in the context of enhancing the city’s quality of life for its residents and visitors. He is a leader on the development of campuses for research and development and testing of connected and automated vehicles. This has included three of the most significant facilities in the Midwest: the University of Michigan’s Mcity in Ann Arbor; the American Center for Mobility located 30 minutes west of Detroit; the Transportation Research Center located at Honda’s North American test center in central Ohio. 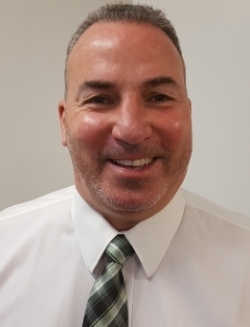 Biography: Dr Daniel Ruiz joined Meridian Mobility UK Ltd (Meridian) as CEO in January 2018 leading the UK’s £100m connected and autonomous vehicle (CAV) program. Meridian is the UK’s hub for testing and development of CAV, established in September 2017 with joint funding from industry and government to accelerate the uptake of CAV technologies and to exploit their social and economic potential. 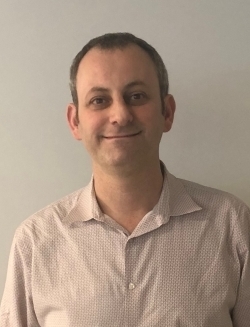 Daniel joined Meridian from Dynniq UK Ltd, where he was managing director leading a 500-strong team tackling traffic challenges on the road networks in the UK and Ireland by developing, installing and maintaining a number of technology-based solutions. He previously held roles as head of real-time operations at Transport for London (TfL), launch director of the UK’s intelligent mobility innovation centre (the Transport Systems Catapult), and program director for the Transport Coordination Centre for the London 2012 Games. Biography: Dierk Arp was born 1960 in Kiel. 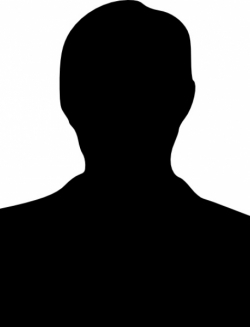 Since 2001 he has been an executive director and shareholder of Messring. After getting his diploma in electrical and communications engineering from the Technische Universität München, Dierk Arp founded his own company, which focused on medical imaging and software development. With this company and later as a shareholder of Messring, he was involved in the design of data acquisition hardware and control software for passive safety systems. Messring has been a pioneer and trailblazer for innovative crash test facilities around the world since 1989. Synopsis: Pedestrians and cyclists account for a significant proportion of road deaths worldwide. Current ADAS test systems are tackling this challenge, but are limited in their design to linear or two-dimensional motion. With this setup, particularly during acceleration processes, an unrealistic motion is generated. The concept of hanging dummies from above creates new possibilities for more life-like dummy trajectories using six degrees of freedom. The system sets new standards in precision and repeatability through the ability to reproduce real-life human motion sequences and imitate them realistically – for example, based on data from a motion capture system. Biography: Jeff is head of business development for Metamoto, a Silicon Valley startup offering scalable simulation solutions for autonomous vehicles. In this role, he is responsible for educating customers in the use of software simulation tools used in the development of advanced driver assistance and autonomous vehicle control systems. Prior to joining Metamoto, he held positions in controls and systems simulation with Siemens/Tass International, National Instruments and Fanuc Robotics. He also authored and teaches the SAE 2 day class 'Introduction to the highly automated vehicle'. Synopsis: Traditional automotive testing tools are not up to the task of, or able to scale to, the level needed to satisfy safety requirements for autonomous vehicles (AVs). Simulation that encapsulates mature, agile software engineering approaches, especially those involving continuous test and integration, provide a proven way forward. These approaches provide endless miles of virtual testing needed for validation in a single cycle, outpacing physical testing by an order of magnitude. Attendees will learn about current safety regulations for AVs, general AV testing best practices/methodologies and novel AV simulation approaches that have the potential to satisfy auto makers, policymakers and consumers alike. Biography: Dr Craig Shankwitz is a principal R&D engineer at MTS Systems Corporation and a research and teaching professor at Montana State University. He holds BSc and MSc degrees in Mechanical Engineering, and a PhD in Control Science and Dynamical Systems. He started his work with autonomous vehicles and ADAS in 1993, first as a postdoctoral researcher and later as director of the Intelligent Vehicles Lab at the University of Minnesota. At MTS, Craig focuses on developing tools to support the test, development and validation of AV/ADAS. Synopsis: Conducting AV/ADAS testing on public roadways is highly problematic in terms of safety and repeatability. Simulation presents a safe and repeatable alternative, yet falls short in capturing the subtleties of real driving scenarios. To overcome these challenges, MTS is combining virtual and physical elements – models, physical components, sensors and humans – into hybrid simulation environments, bringing new levels of safety, repeatability, fidelity and efficiency to vehicle development. This presentation explores the application of hybrid simulation for AV/ADAS test and development, covering conceptual models, the blending of virtual and physical, repurposing existing machines and models, and product validation and verification. Biography: Alex has worked in the automotive sector for over 20 years, he has worked on projects with Ford, Volvo, JaguarLandRover, McLaren, Bosch, Yamaha, Johnson Matthey, TfL and Ricardo as a system integration engineer and technical project lead on a range of technology from 2MW diesel power station engines through NOx emissions reduction on city buses and mining vehicles to active aerodynamic devices on hypercars. Alex joined Oxbotica in 2016 and has been responsible for designing and integrating drive-by-wire systems on all of Oxbotica’s vehicles. He currently leads all of Oxbotica’s on-road and off-road vehicle test activities. 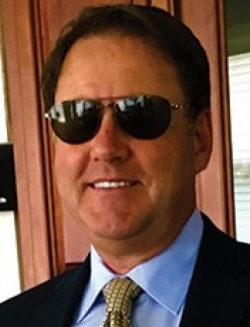 Biography: Starting off by developing robotic systems for 12 years at a few defense contractors, Bert developed a strong understanding of what it takes to create a real-time system. From 1998 through 2003, he further expanded his knowledge of real-time applications by working for Wind River, a leading provider of real-time operating systems. Since starting at RTI in 2003, Bert has expanded his skills in real-time applications and distributed systems architecture design. Bert holds a BSc in Electrical Engineering from the University of Pittsburgh. Synopsis: Autonomous vehicles are the most disruptive change in automotive history. Car companies are scrambling to keep up with the investment and technology requirements, but the future is still unclear. How will this technology be deployed? When? By whom? There is no common accepted standard, no dominant platform and many unanswered technical questions around safety and security. Without solving these challenges, we cannot have a robust industry ecosystem. Who will save us from this confusion and indecision? Enter the DDS Standard. The industry needs a common framework that can meet the performance, safety and security requirements necessary for Level 4. Biography: Tobenna is the co-founder and CEO of Scotty Labs, which is building a tele-operations platform for autonomous vehicles in order to accelerate the safe deployment of these vehicles. Tobenna previously worked at SRI International, the creator of Siri, where he was an entrepreneur in residence and spun out Scotty Labs. Prior to SRI, Tobenna was a product manager at fast-growing technology startups where he helped launch products that served thousands of enterprise customers. Biography: Surya is the founder and CEO of Sirab Technologies Inc. He is an embedded systems and wireless communications engineer with 18 years' experience in the industry both as a consultant and in full-time engineering roles. He has extensive experience in safety- and security-critical real-time operating systems, wireless communications protocols, hardware architectures, device drivers and safety-critical software development for avionics. 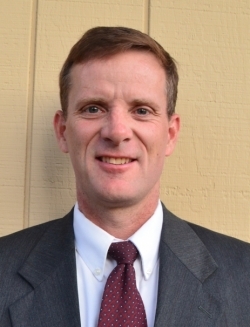 He has held engineering positions at companies including National Semiconductor, Conexant Systems, Siemens Healthcare Diagnostics and Wind River Systems. 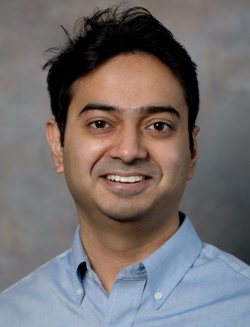 He has an MSEE from Clemson University with DSP and Wireless Communications emphasis and a BSEE from IIT Madras. Synopsis: Although many autonomous vehicle approaches are being pursued globally, 'safety assurance' with highly reliable guidance systems is still a key challenge. The Sirab team, with core expertise in building safety- and security-critical systems for aviation, is trying to solve this challenge with our unique patented approach that can support in the deployment of a platooned convoy of commercial vehicles at high speed to improve safety, capacity and operational efficiency of road transportation systems. Our core technology consists of a highly reliable guidance system using radar and a modular architecture for lane keeping and platooning, enabling solutions with safety assurance. Biography: Mr. Warra has over 20 years of experience in the engineering field at Tier 1, OEM and HIL simulation test equipment manufacturers. He has become a specialist in advanced technologies like V2X (Vehicle to everything), TSN (Time Sensitive Networking) Ethernet, GNSS and Cybersecurity. He has been working in various positions in the industry from product development and test to system integration and project engineering roles. Being focused on safety critical systems early in his career has allowed him to build a solid foundation on electrical and software engineering practice and principles. Synopsis: Time sensitive networking protocols and applications are the enabler for using real-time functionalities in different industries based on Ethernet/IP networks. For the automotive world, TSN will help to implement driver assistance and autonomous functions into next-generation vehicles. This presentation illustrates use cases of time-sensitive networking in vehicles; it includes ways to validate network components like ECUs and end devices such as cameras and sensors as well as software applications using this technology. Delegates will hear how autonomous vehicles act like data centers and learn how to avoid safety issues based on malfunctions or cybersecurity attacks. 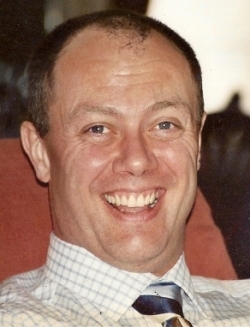 Biography: Peter graduated from the University of Wales in 1982 with a BA (Hons) in Philosophy and Logic, and an MSc in Computing and Operational Research. He joined Thales e-Security (then Open Computer Security) in 1984. Peter is currently concentrating his efforts on digital resilience and survivability. He has been Involved in the specification and development of many successful large-scale security schemes including credit card and mobile phone. 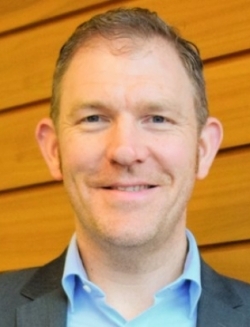 He leads the Security Workstream for the Automotive Electronic Systems Innovation Network (AESIN) and is security lead to AutoDrive and RoboPilot 2 of the UK Government's research activities in autonomous vehicles. As a technical director at Thales he has been the company's leading expert on cryptography in the UK, responsible for providing cryptography and information security direction and expertise on a variety of projects. He has represented the UK Government overseas in the area of security. Synopsis: Connected and autonomous cars are part of a price-sensitive, worldwide and mobile system yielding benefits at scale, which is hyper-connected, bottom-up, with emergent properties for which there is no guiding mind. This presentation will focus on implications for legal, insurance and public policy; existing technical and standardization approaches and their ability to deliver desired outcomes of resilience and survivability; future avenues for exploration. The underpinning thesis is that the benefits of the system of which connected and autonomous cars are a part will be of such importance to society that they cannot be allowed to fail catastrophically. Biography: Shalin is a product management lead at Uber’s Advanced Technologies Group (ATG), particularly focused on teams and technologies that accelerate the safe development of software for self-driving vehicles. Prior to ATG, he founded and led the team that built Uber’s experimentation platform from the ground up, as well as led Uber’s rider experience (i.e. the mobile apps you and millions of others have used to get around the city!). Shalin Mantri is a graduate of Stanford University where he earned a double major in Computer Science and Economics, and a masters in Management Science and Engineering. Synopsis: In this talk we will discuss approaches to software performance measurement using scenario-based simulation. These approaches are intended to shed light on an industry-wide problem: the lack of a gold-standard 'driving test' for self-driving software. The presentation will cover: road-based performance metrics, scenario framework, the role of simulation in self-driving software, and a proposal for scenario-based metrics in simulation. Leveraging simulation as a validation method and aligning it with published scenario testing frameworks will accelerate the evaluation of mass-market self-driving vehicles. 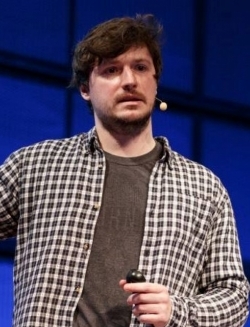 Biography: Marc is the CEO and co-founder of understand.ai based in Karlsruhe, Germany. understand.ai, with a team of 27 highly specialized computer scientists, provides annotated training and validation data using advanced algorithms that drastically improve annotation quality. Marc holds an advanced degree in Data Science and Machine Learning, for which he specialized in making neural networks more robust toward input complexities like occlusion and lighting. Marc also holds an advanced degree in Entrepreneurship and Small and Medium Enterprise Management. Synopsis: Definition and Motivation: What are scenarios and why do they matter? What different levels of scenarios exist? How do scenarios fit into the different levels of autonomous vehicle development and validation? Why does scenario-driven development accelerate the development and testing of autonomous vehicles? Why is the completeness of the database of relevant traffic scenarios critical? When should we as an industry start extracting scenarios? 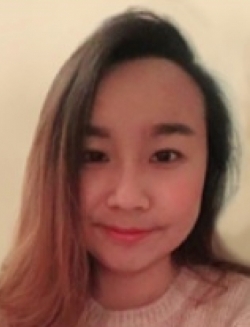 Biography: Dr Yee Mun Lee is a post-doctoral research fellow at the University of Leeds, Institute For Transport Studies (ITS) UK. Her research interest is in human factors and vehicle automation. Yee Mun is currently working on a European project named InterACT, which focuses on designing cooperative interaction of automated vehicles with other road users in the mixed-traffic environment. This project involves industrial and academic partners such as DLR, ICCS, Technical University of Munich, Bosch, HELLA, CRF and BMW across Europe. Under the twinning activities of the EU and the United States Department of Transportation (US DOT), the US project AV Intent was selected as a partner project. AV Intent is sponsored by the National Highway Traffic Safety Administration (NHTSA), where the contractor is the University of Michigan Transportation Research Institute (UMTRI), working with Westat as a subcontractor. Biography: After graduating from the Technical College of Aalen with a degree in Electrical Engineering, Christian initially worked as a hardware and software developer in the field of video transmission and conversion systems. 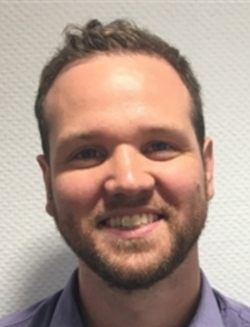 Since July 2008 he has been employed at Vector Informatik in Stuttgart, first as a hardware developer for VX1000 measurement and calibration systems, and now leading the VX1000 field application team and the video hardware development team as manager. Synopsis: The presentation shows the challenges and solutions for a complete ADAS logging approach. This includes: multichannel vehicle bus logging – CAN-FD, FlexRay, LIN, Auto-Ethernet; radar measurement technology for raw data as well as object data; high-end fusion ECU measurement with multi uC + uP architecture based on AUTOSAR and AUTOSAR adaptive operating systems; multiple vehicle and reference camera measurement; other sensors such as Laserscanner, Ultrasonic and GPS. The unique solution covers two use cases: 'engineer mode' with full graphical object overlay display, and 'taxi driver mode'. Biography: Phil is an automotive electronics expert with over 25 years’ experience in active safety systems, automated vehicle systems and telematics. He is the founder and principal of VSI Labs, a leading researcher and engineering advisor on autonomous vehicle technologies. Phil and his team practice applied research on automated vehicle technologies. VSI has built its own automated vehicle that is used to evaluate the functionality of leading components, sensors and software development tools. Synopsis: Developing automated vehicles that work well 99% of the time is relatively straightforward. But developing automated vehicles that work 99.99% of the time is an order of magnitude more challenging. Recent accidents point to the need for heightened safety and redundancy to cope better with edge cases not normally encountered. In this session, VSI will discuss the latest trends toward improving the safety and performance of automated vehicle solutions. Synopsis: When it comes to driving, experience is the best teacher. Waymo, the self-driving car unit owned by Google parent company Alphabet, has already driven over nine million miles on real-world roads since 2009. Its mission is to bring self-driving technology to the world, making it safe and easy for people and things to move around. Waymo believes its technology can improve mobility by giving people the freedom to travel, and save thousands of lives currently lost to traffic crashes. 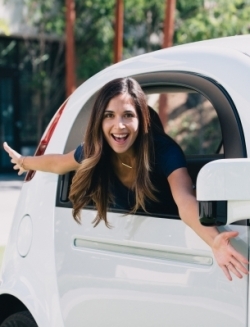 In this talk, Stephanie Villegas, who leads structured testing at Waymo, will introduce the company’s self-driving technology, talk through lessons learned from testing, explain Waymo's mission and vision, and touch on where the company is headed as it looks toward commercialization. Biography: Kris graduated as an electromechanical engineer at the University of Leuven and started working in the automotive sector in 1993. He began as a technical consultancy engineer in high-tech NVH projects. 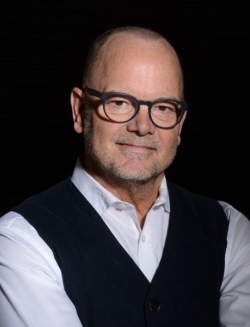 Throughout his career he has acquired experience in engineering management and technical sales, having been promoted to business unit manager and managing director within different industrial companies, and acquired worldwide experience in Europe, the USA and Asia. Strongly convinced of the innovative power of the XenomatiX technology and its inevitable breakthrough, Kris joined this fast-growing high-tech company in Leuven, Belgium, as VP sales and business development in 2016. Synopsis: Technology choices for automotive lidar have to be based on how and where the lidar units can be integrated in vehicles. This integration has an impact on the lidar technology as well as the vehicle itself. As the need for reliable solid-state lidar systems continues to grow, considerations about sensor placement and ways to achieve reliable detection receive the automotive attention. Although test vehicles often still have externally mounted lidar systems, mass-production vehicles are in need of lidar technology that can be nicely incorporated in the vehicle. This presentation will report the outcome from cooperations between XenomatiX and Tier 1 partners.